It was a great season for both of the boys and their team. Chocolate Pancakes kept plugging along and fighting hard during each match but most of the time they came up a little short. 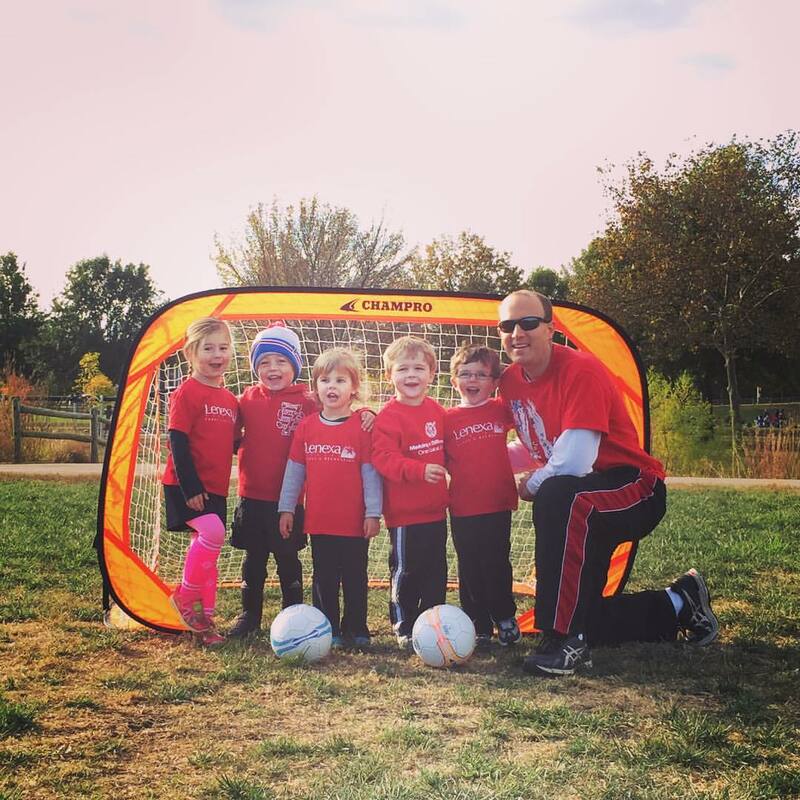 For the most part, Logan really enjoyed playing soccer, this was his first stab at it and the kid did great. He was aggressive but not too aggressive. He was fast and quick---there is a difference. He listened well and played team ball as much as he possibly could. It didn't matter if he was scoring a goal or running off the field to let another teammate have a turn, he was all smiles. And his blond flowing locks would just blow in the wind, so much so, we had to tie them down one game. We got through the entire season without having makeup game or an injury--complete success. & on the last game day we took a few pictures, the kids were handed awards & then we met his team at Le Peep for brunch. & while Kaden's team was practicing and playing their game, Logan finally got to try out the park's zipline. He was a fan. Ground Control was a little bit of a different story when it came to their games. They had moments where they were rocking and rolling & everything was just working and then a few times they just couldn't seem to get the ball in the net. Kaden did pretty well. This wasn't his first time playing but this was the first time that he was actually part of the play & went after the ball instead of waiting for it to come to him. He is quick and fast just like Logan but he was often times so fast that it was hard for him to slow down and control the ball. If the other team broke away with the ball, he could easily run down and defend the goal. He has a STRONG leg and a great kick, he just doesn't always know WHEN to use it and often tried to kick too hard when there were others around fighting for possession. There was this one time---at band camp---kidding, where he took a shot on the goal from midfield AND IT WENT IN! I didn't get it recorded because I wasn't prepared for it but everyone was going crazy, even the other team. Kaden is our intense child and that carried over onto the field of play. He had his highs and lows when it came to winning or losing---he didn't like it when he didn't score a goal during the game. Towards the end of the season he started to understand the TEAM aspect of it a little more and was much happier when the team scored and not just him. It was fun to watch him grow and more than not he looked like he belong on the field which was nice to see. His momma loves sports & as much as I want him to love them too, I don't want to push them on him so we are letting him do his thing. Or at least we are trying. But deep down inside I am screaming---go, go, go---get up; defend; pass; not over there, over here; a little to the left, little kicks, little kicks, okay NOW! I can see why my mom either tried to video all my games or worked the scoreboard table---it kept her quieter. 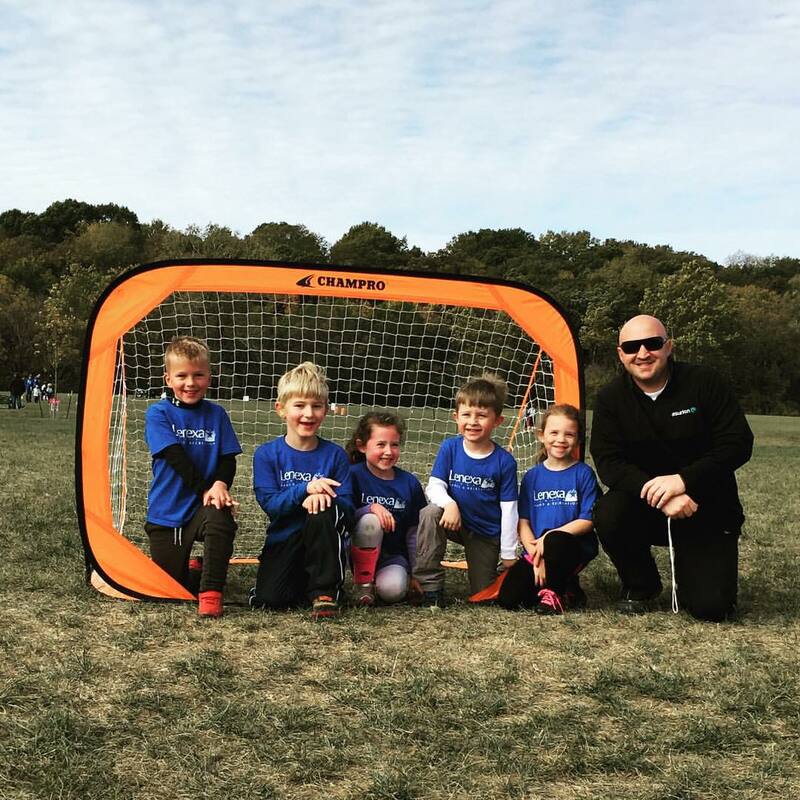 And a great big thank you to both of the boys' coaches, especially Kaden's--he can be a lot---in all the best ways---but Jake did fabulous with him and the other kiddos. 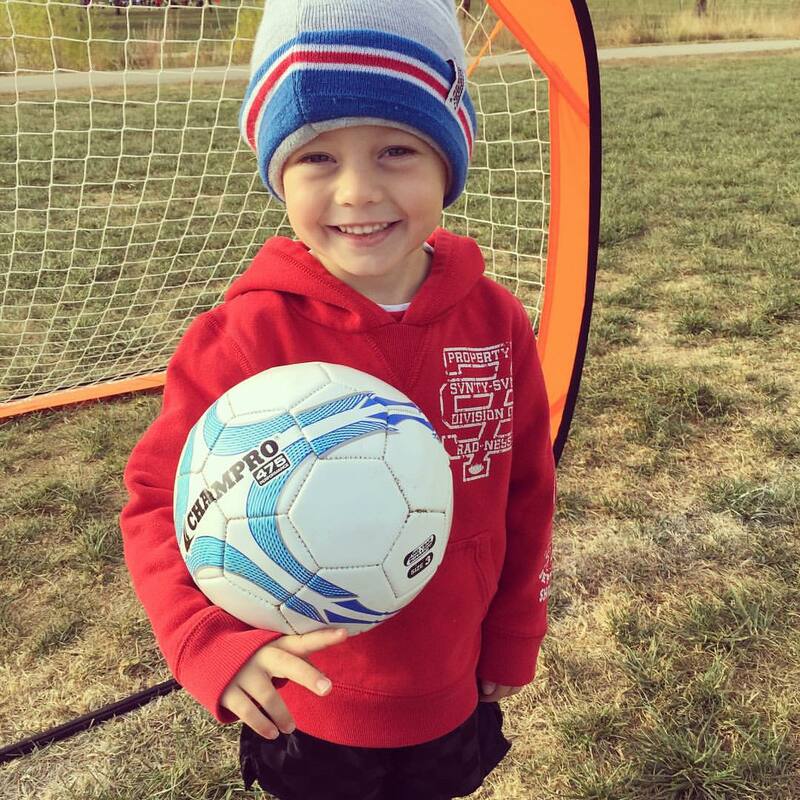 Kaden was so excited for soccer each week & loved following his lead.